Shaving can be a pain (and painful) but short of embracing our hairy side, most of us are still stuck doing it daily. To make everyone's shaving experience more pleasant, we surveyed men on their best shaving hacks. When I'm interviewing and I need the smoothest face possible, I default to my girlfriends razor. I've tried so many different brands for men's razors, but I nothing has ever beaten my girlfriend's razor! Instead of branded pre-shave oils which can be expensive, I use generic grapeseed oil. I apply grapeseed oil 5-10 mins before shaving, then hold a hot washcloth to my face for 30 seconds before applying shaving cream. Make a world of difference no matter what razor and shave cream I use. When shaving in the morning men are always in a rush and neglect the most important part in a shave: the preparation of the skin. First, always use an exfoliant and gently scrub the beard area (specially the lower part of the neck where the skin is very sensitive and can have the most ingrown hair), then wash the face and apply shaving product. We can speak about what product to use and how to prepare your face before a shave but forget the essential which is always use a clean and sharp razor. Never shave with a dull blade. When the blade is dull, you have to apply more pressure and can give yourself razor burn. Always clean the razor after each use, especially the multi blade one because those tend to catch more foam and hair residue. Always shave in one direction — from top to bottom. 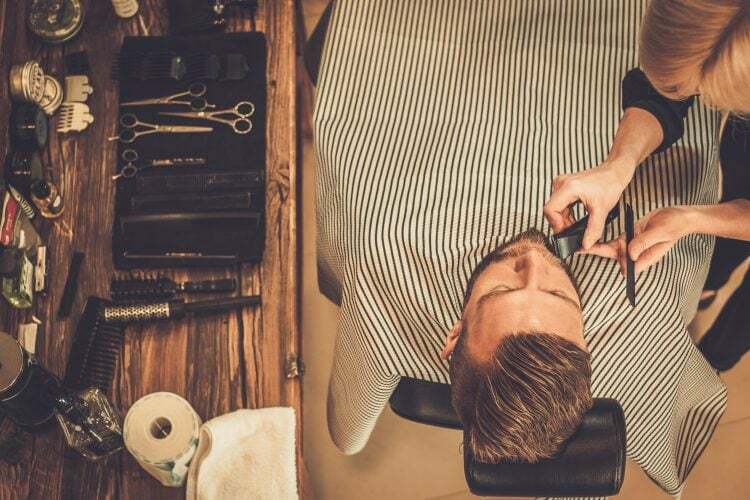 Shaving in two directions goes against the grain of the beard, and doing that can cause the tips of the hairs to penetrate and wound the skin. Whenever you shave, always use a shave gel. The best shave gels are those made specifically for sensitive skin — check the labels when you’re shopping for one marked for sensitive skin. Do two things at once. Treat your skin, while you shave it. Most shaving creams, gels, foams, butter, etc. just facilitate the removal of facial hair, but using a combination product can improve skin health, while removing hair. No need to take extra steps and time to improve the health of your skin. Thanks everyone who contributed — hopefully these simple shaving hacks put you on the road to more pleasant and enjoyable shaving experiences. Finish your shave with a good-smelling after shave splash or aftershave balm if you have sensitive skin — you're set for the day.